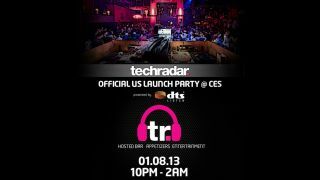 The TechRadar team took a break from reporting the latest news and hands on at CES 2013 to celebrate the official launch of its U.S. site. In partnership with DTS, TechRadar threw this massive soiree at Tao in Las Vegas on the second night of the CES show. It was one insane party that featured performances from the Far East Movement , The Crystal Method and the inevitable Vegas go-go dancers. See if you can spot editors John McCann and Alex Roth awkwardly bustin' a move. You can see more pictures from our launch party on our Facebook page.